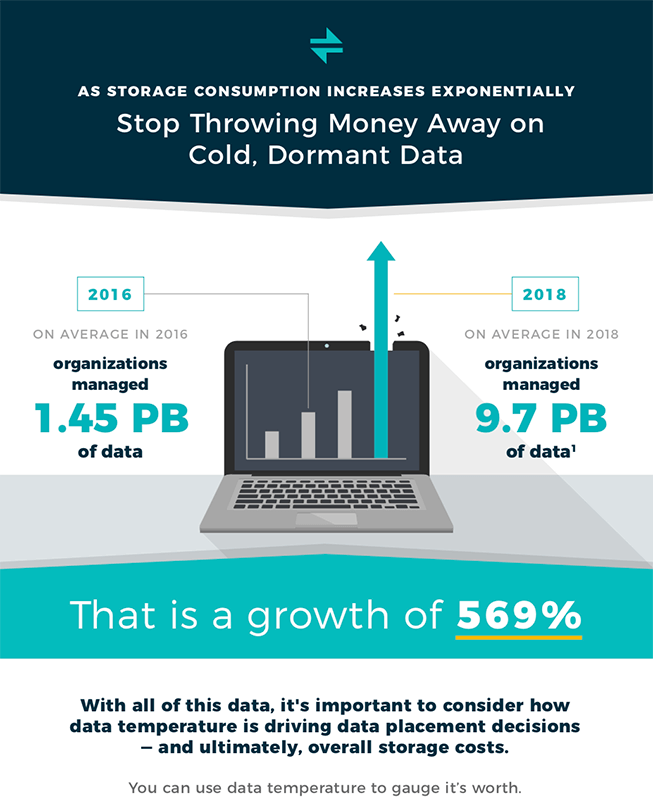 Demands on your data have grown exponentially more difficult for IT departments to manage. Companies that fail to address this new reality risk not only data outages, but a significant loss of business. 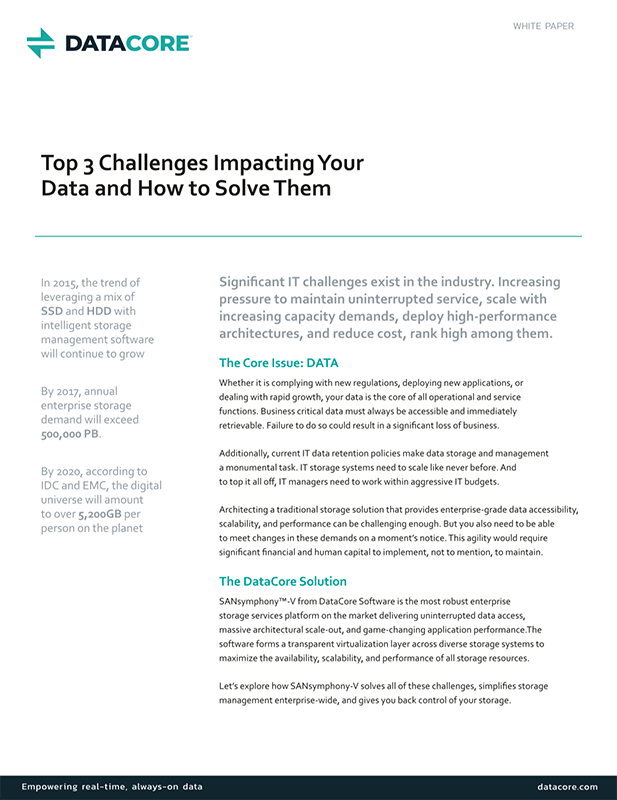 In this white paper we review the top 3 critical challenges impacting your data (maintaining uninterrupted service, scaling with increased capacity, and improving storage performance) and how to solve them. How to maintain data availability in the event of a catastrophic failure within the storage architecture due to hardware malfunctions, site failures, regional disasters, or user errors. 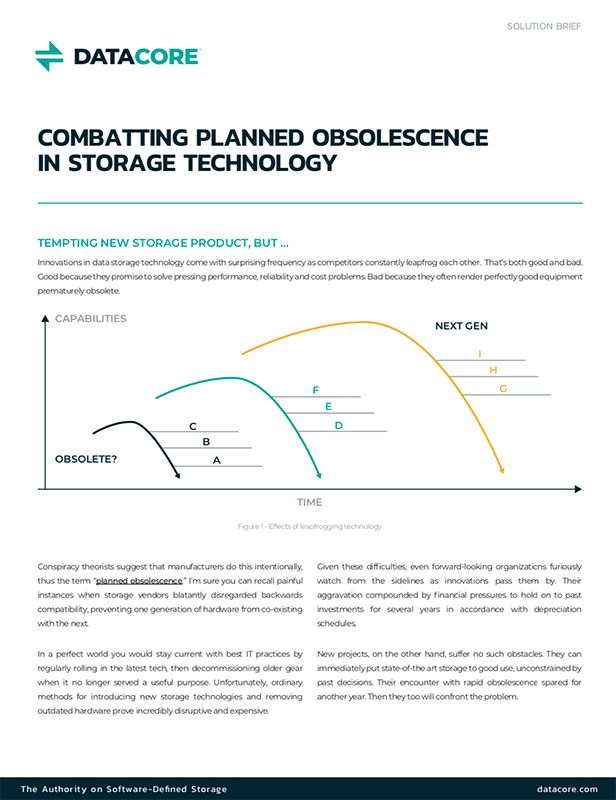 How to optimize existing storage capacity and safely scale your storage infrastructure up and out to stay ahead of changing storage requirements. How to speed up response when reading and writing to disk while reducing latency to dramatically improve storage performance.